WASHINGTON Lawrence Summers, who was considered the leading candidate to replace current Federal Reserve Chairman Ben Bernanke, has withdrawn his name from consideration, the White House said Sunday. The next leader of the Federal Reserve faces immense challenges, including the question of when and how the government will ease back on pumping billions of dollars into the economy. The person who replaces Bernanke will be crafting the next steps in helping the U.S. economy grow. In a statement, President Barack Obama said he had accepted Summers' decision. "Larry was a critical member of my team as we faced down the worst economic crisis since the Great Depression, and it was in no small part because of his expertise, wisdom and leadership that we wrestled the economy back to growth and made the kind of progress we are seeing today," Obama said. As director of the National Economic Council, Summers oversaw the administration's response to the economic and financial crisis early in Obama's first term. Still, Summers faced opposition from some Democrats, including members of the Senate Banking Committee. As CBS News correspondent Bill Plante reports, critics faulted Smmers for an overbearing attitude, bad decisions on the economy and insensitivity to women. Summers alluded to the opposition to his candidacy in a letter he sent to Obama Sunday to formally withdraw from consideration. Summers' ascent to the top of the list to succeed Bernanke rankled some of the president's liberal supporters. He was seen as having been too cozy with Wall Street and was criticized for controversial comments he made about women and math and science. Shaunna Thomas, co-founder of the women's rights group UltraViolet, welcomed Summers' withdrawal, saying she hopes it serves as "a reminder to all that sexism has no place anywhere in society and certainly not in the highest levels of our government." Thomas called on Obama to nominate current Fed vice chairwoman Janet Yellen, another candidate on Obama's short list, to take over Bernanke's job. Obama vigorously defended Summers in recent weeks, both in public comments and in closed-door meetings with lawmakers. The president has also been facing trouble with his liberal base on other fronts this year, including revelations about the National Security Agency's spying programs and his call for a military strike against Syria. 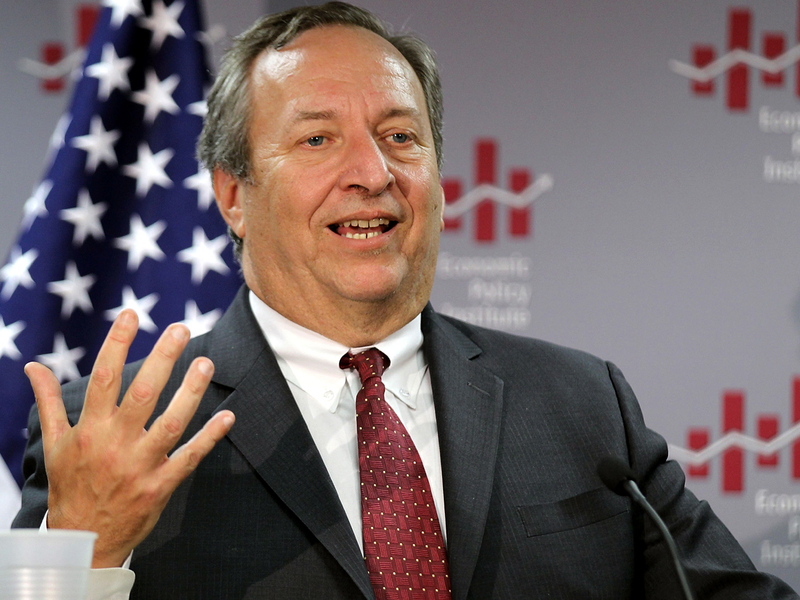 Summers' decision could make Yellen the leading candidate to replace Bernanke. Yellen, who became a member of the Fed's board of governors in 1994, would be the first woman to run the Fed. Obama is expected to announce his nomination as early as this month. Bernanke's term ends Jan. 31, 2014. Meanwhile this past week, more than 350 economists have a signed a letter to President Barack Obama calling on him to nominate Federal Reserve Vice Chair Janet Yellen to be the Fed's next chairman. The letter was designed to draw attention back to Yellen amid signs that Obama had been leaning toward nominating Summers. Obama had been expected to announce his nomination as early as this month. Fed Chairman Ben Bernanke's term ends Jan. 31, 2014.